The Avatar Returns episode 43 is available for listening or download right here and on iTunes here. The Avatar Returns phone tree has been activated and we’re answering the call as we head into the back half of The Legend of Korra Book Four. In chapter 407, “Reunion,” the band is back together…mostly. And it feels so good…mostly. 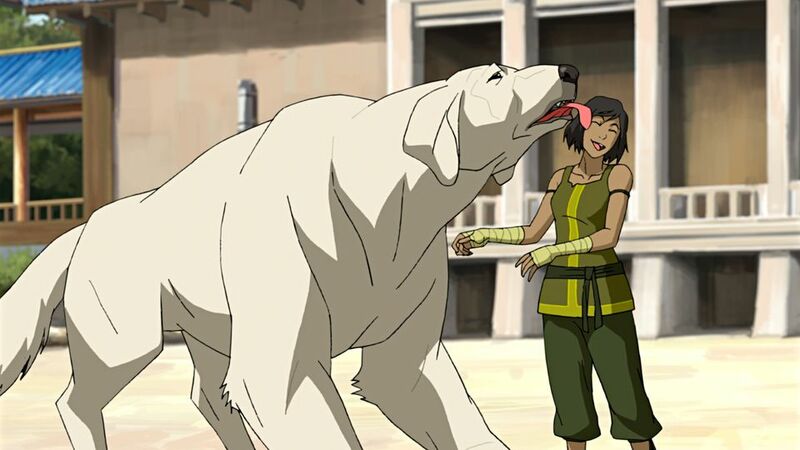 Wu is down; Korra and Mako are on each others’ nerves; and Bolin lavabends the taste right out of some mecha suit mouths. In 408, “Remembrances,” cue the twinkling flashback music as, you guessed it Golden Girls, it’s a clip show. But oh what a glorious clip show it is! Chibi Mako tells his romantic origin story to Chibi Wu; Korra and Asami share some tea and reminisce; and Varrick shares the tale of the Greatest Mover Ever Made! And finally, in 409, we journey “Beyond the Wilds” to poke things with sticks while Korra finally confronts her inner demons, which bear a striking resemblance to a hippie prison sage Zaheer. This entry was posted in The Avatar Returns and tagged action, adventure, animation, anime, cartoons, comedy, fantasy, film, golden girls, itunes, libsyn, movies, mystery science theater 3000, netflix, nickelodeon, podcast, television, the avatar returns, the legend of korra, tv, your name. Bookmark the permalink.